It took me a while to unravel what was so different about Rafal Sarnecki's take on jazz, and I finally settled on "it's full of tension." Most jazz isn't like that. It's about telling a story, about taking the listener somewhere unexpected. Sure, there's tension and excitement and danger and everything else, but this is the difference between a friend telling you "Let me tell you a scary story" and "Quick, can you hide me? It's just for a couple of days until things cool down." 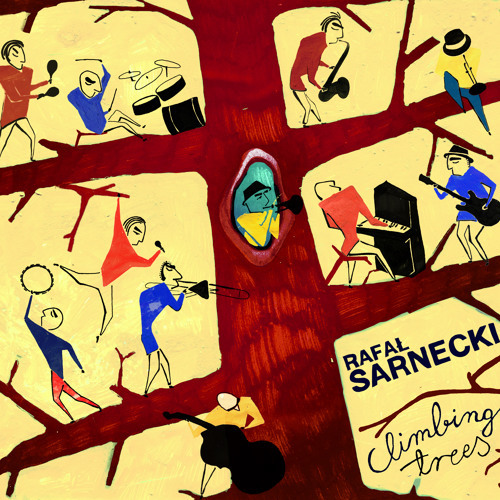 Sarnecki, a jazz guitarist who was born in Poland and has been part of the NYC jazz scene for a number of years now, deliberately injects these vivid emotional strains throughout his new album Climbing Trees. The overall theme is overcoming fears and anxieties and staying focused on your dreams. To say you can hear those fears and anxieties in every one of these ten original compositions, however, is an understatement. "Once I challenged myself to climb the top of one tree I felt an urge to climb a higher tree," Sarnecki explains. "The satisfaction from fighting the fear was very strong and addictive." The trees, in this case, are Sarnecki's obstacles in creating the music he wants--stage fright and a need to push the boundaries of his music into new frontiers. Such themes can be found readily in other musical genres, most obviously in popular music where songwriters are constantly doubting themselves, but in jazz the focus is usually on the abstract, of finding the way amid the total lack of restraints--all within established structures and themes. 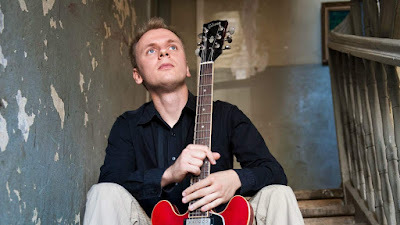 Jazz performers may be thinking about all these things while they are playing, and those fears may come out into the music one way or another, but to make this self-doubt the primary focus is quite unusual. It's also effective. When you're writing music about fear, it's easy to make it sound like a nightmare. 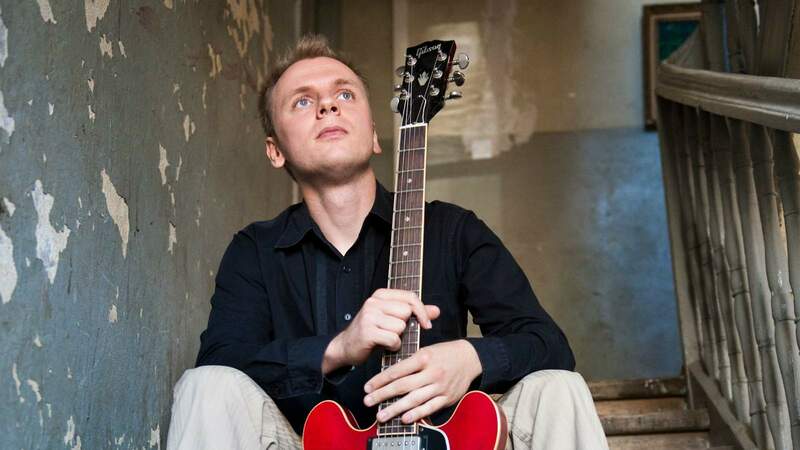 Sarnecki resists that temptation, relying instead on strong and cogent melodies. One of his most effective tools for keeping the humanity in these compositions is the addition of vocalist Bogna Kicinska, a fellow Pole. Kicinska offers vocal improvisations instead of lyrics, much like you'll find in Brazilian jazz, just a beautiful voice acting as pure instrument. This tempers the more turbulent aspects of the music, and Kicinska almost plays the role of a guardian angel, a muse that continually tells Sarnecki to stay focused on his dreams. Her presence reminds me of Jessica Lange's Angelique in All That Jazz--except for the whole Angel of Death part, of course. Kicinska is there to listen and to provide empathy. Speaking of empathy, the rest of Sarnecki's ensemble seems really in tune with his vision, so much so that it appears we are witnessing the fears and concerns of everyone on stage. Sax player Lucas Pino, pianist Glenn Zalecki, bassist Rick Rosado and drummer Colin Stranhan are magical here because they are able to set aside "normal" approaches to jazz and come up with something entirely original in service to Sarnecki. It's a bit of a cliche to say a jazz ensemble is playing as one, but it's something else when they recognize a singular vision such as this and cast aside everything they've learned in order to make that vision a reality. Climbing Trees, if you haven't already guessed, stands out from most, if not all, contemporary jazz. It exists almost on its own plane. Sarnecki is using jazz as sort of a fuel to get from point A to point B, but you've never been in a car like this before. Highly recommended.